Today’s post is sponsored by Silk. 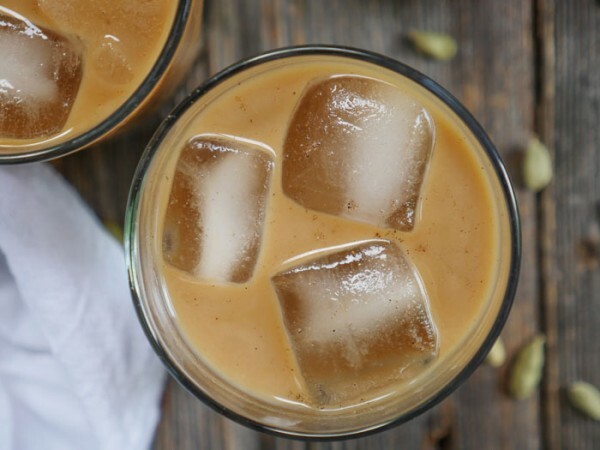 I drink their unsweetened Cashew milk often and am excited to be using it in this dairy-free smoothie! This raspberry lime and mint cooler is sweet, tangy and refreshing. It’s like drinking a sweet and sour margarita on an incredibly hot day, sans alcohol of course. It’s the perfect drink to quench your thirst. 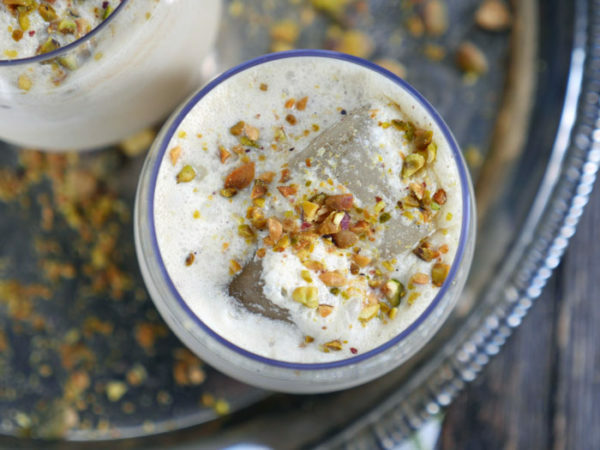 When it’s sweltering hot outside – gimme all the iced cold citrus drinks, y’all! I love citrus and in the summer, I am all about lemons and limes. Ooh, especially limes. I came up with this drink after going for a run this past weekend. It was hot and humid and by the time I got home, I was insatiably thirsty. I drank a tall glass of water, but I wanted something else… and this raspberry lime cooler absolutely hit the spot. 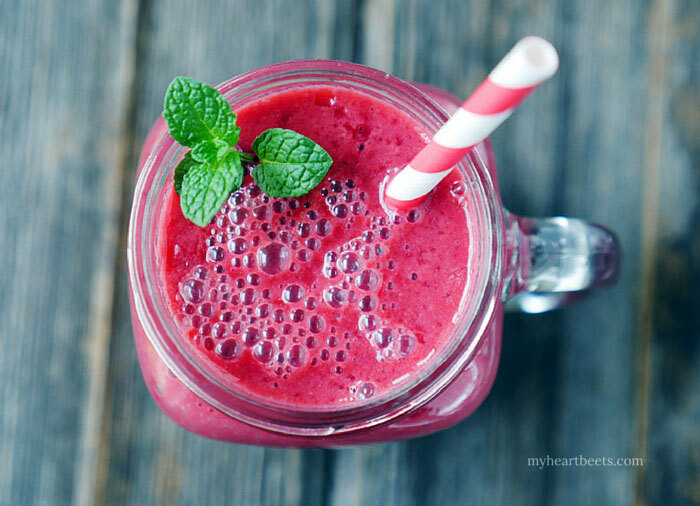 The combination of raspberries, lime and fresh mint is so energizing – it’s sweet, tart and cooling. I added a couple teaspoons of raw honey to make the drink a little sweeter. And after a few sips? Ahhhh. This drink cools from you from inside out. 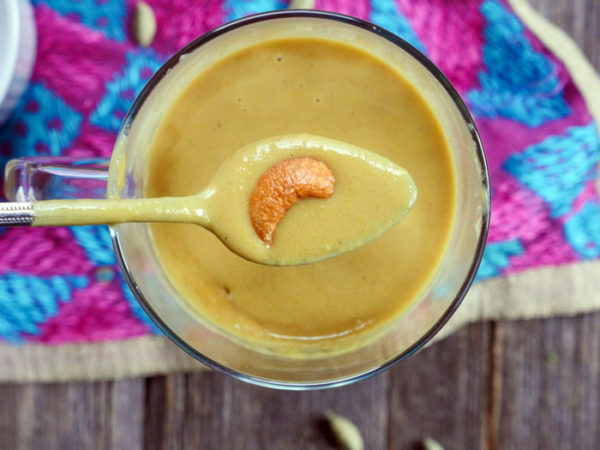 I try to use homemade almond milk or homemade cashew milk as the base for my smoothies, but sometimes it’s hard to DIY. You know, like when you come home from a run and want an icy cold blended drink pronto. That’s when I reach for Silk’s cashewmilk. I love the stuff – it’s super creamy and rich and it’s also gmo-free and carageenan-free so clearly, I’m a fan. 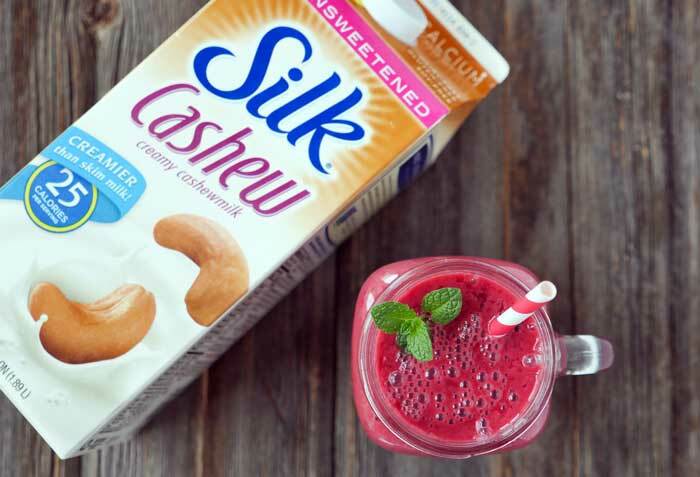 If you don’t want to use store-bought cashew milk, you can just add some water and a handful of cashews instead – it’s totally up to you! It may not be quite as creamy, but I’m sure it’ll be delicious too! 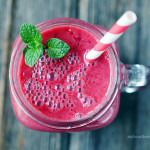 Let me know what you think of this thirst-quenching smoothie! Blend all of the ingredients together until smooth. Taste and add more honey if needed. PAID ENDORSEMENT DISCLOSURE: This is a sponsored post written by me on behalf of Silk. In order for me to support my blogging activities, I may receive monetary compensation or other types of remuneration for my endorsement, recommendation, testimonial and/or link to any products or services from this blog.